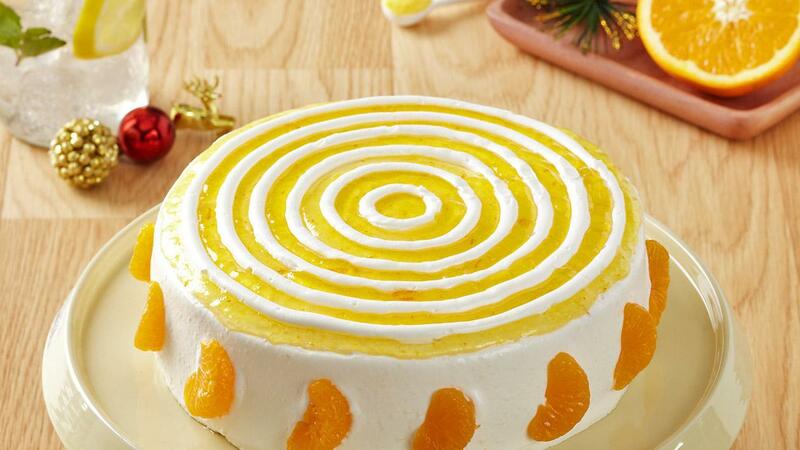 The sweet and sour of orange cake always be a favourite. It will be a favourite cake in your café or your cake shop. Mix white shortening and soft cream until they are soft and pour some simple syrup. Mix them well. Whisk all ingredients except margarine until it expands. Add the melted margarine and mix them well. Put into 2 round baking pans. Use 22 cm in diameters baking pans. Then, put the 2 baking pans in the oven and bake them at 180⁰C. After the temperature is getting low, smear the dough with orange jam and give the butter cream as the garnish.